If a `robot' could do your job quicker than you and better than you for no pay, would you still be employed? Today it's travel agents, data-analyst and paralegals whose jobs are under threat. Soon it will be doctors, taxi-drivers and, ironically, even computer programmers. Without a radical reassessment of our economic and political structures, we risk the implosion of the capitalist economy itself. 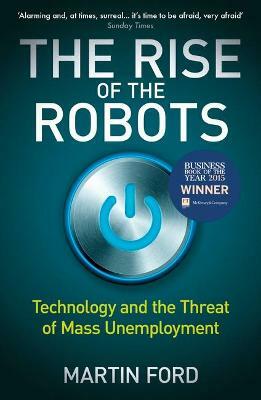 In a frightening tour of artificial intelligence's rapid advances, technology expert Martin Ford draws on a wealth of economic data from both the US and the UK to outline the terrifying societal implications of the robots' rise. From health and education to finance and technology, his warning is stark: any job that is on some level routine is likely to be automated and if we are to see a future of prosperity rather than catastrophe we must act now.